DO YOU LIKE TO GOLF? 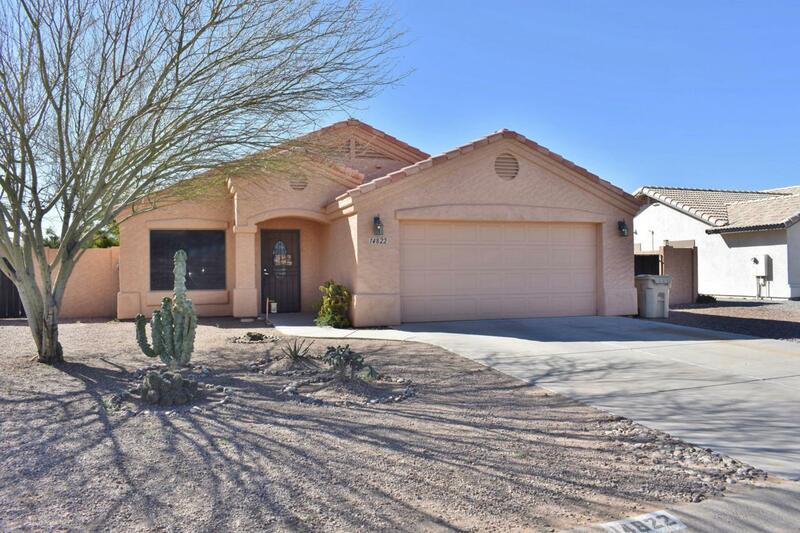 Here's a chance to own a home across the street from the golf course with great views. Great room offers you the maximum use of space with a spacious living area, dining and kitchen. 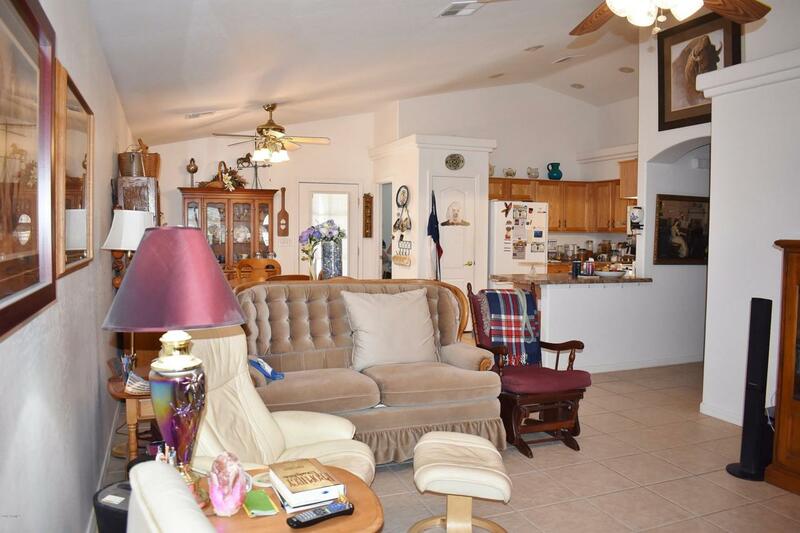 Kitchen includes a ceramic top stove, built in microwave, refrigerator and pantry. Master bath has a double vanity, full tub/shower combination and you also have a large walk in closet. Indoor utility room incledes the washer and dryer plus there is room for a freezer. 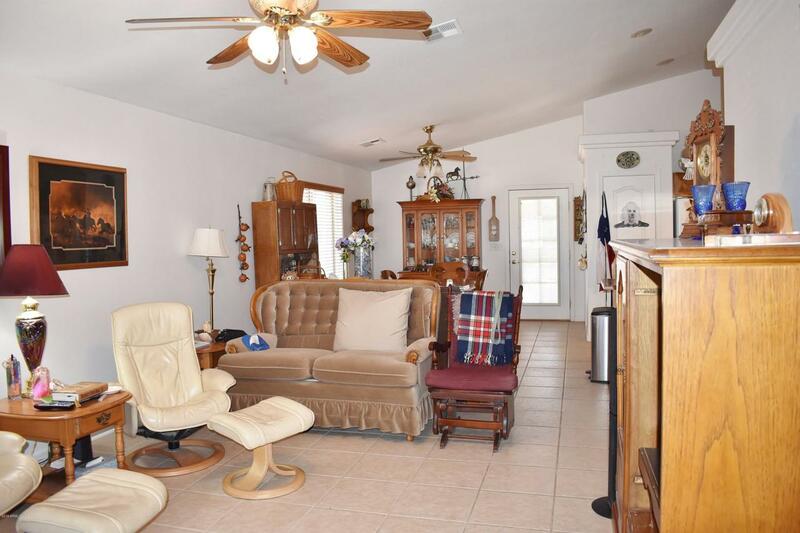 Add all ceramic tile flooring except bedrooms, ceiling fans, 2'' blinds plus tile roof. 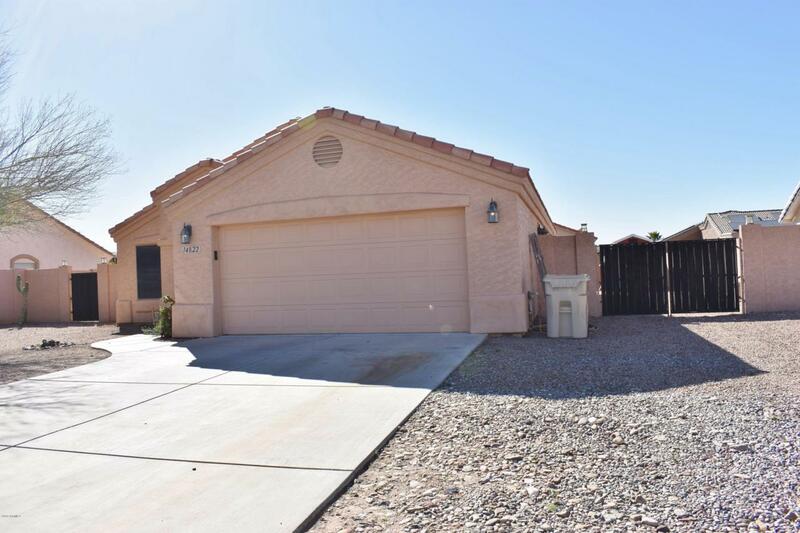 Back yard is completely graveled with block fence, walk through gate on one side and RV gate and parking on the other, covered patio plus a super cute storage shed.